Inside: Are you moving? Here are 20 ways to help children emotionally prepare and cope with a big move from a mom who’s moved her kids across the country three times in three years. My family is no stranger to moving cross country. As I am writing this, we’re gearing up for our third major move in three years. I’m exhausted just thinking about it. Each time we move, we uproot our kids and our lives and start fresh. We have to find new friends and new doctors and new grocery store brands. We’ve had to learn unfamiliar terms like “bubbler” and “pop” and “wicked cool.” And we’ve had to learn how to dress for actual cold weather and real winters. And the planner in me has everything squared away before the movers ever show up. I have lists for what to pack and what I can’t pack. I have lists for canceling gym memberships and filling out new school paperwork and scheduling IEP meetings. And I have lists for what I need to shop for on my first grocery trip and what TV shows to record as soon as our cable gets set up and what to pack in our ‘open me first’ box. I have lists for all of my lists. 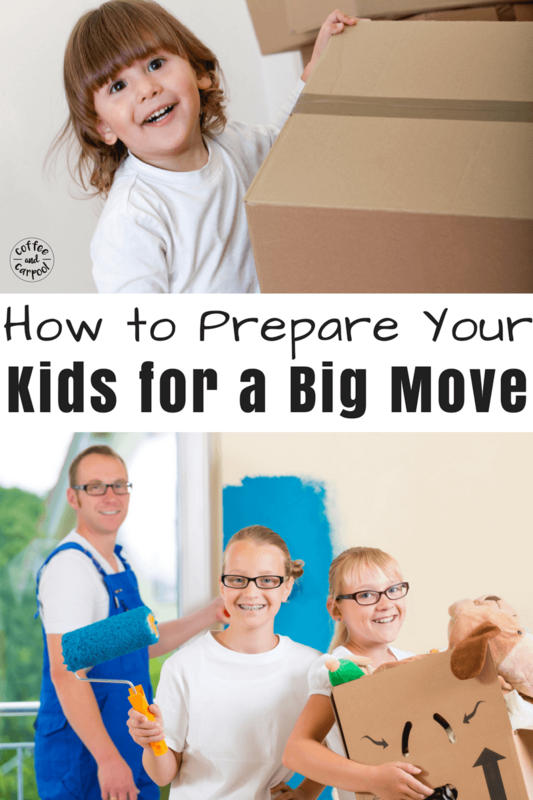 But one thing I always make sure to focus on in all three of our moves has been preparing my kids for the big move. Because leaving their school and their home and their friends is a huge deal. And the fear and anxiety that comes with knowing they’ll be the new kid with no friends and they won’t know the school rules or where to find the bathroom can be a huge worry for any kid. 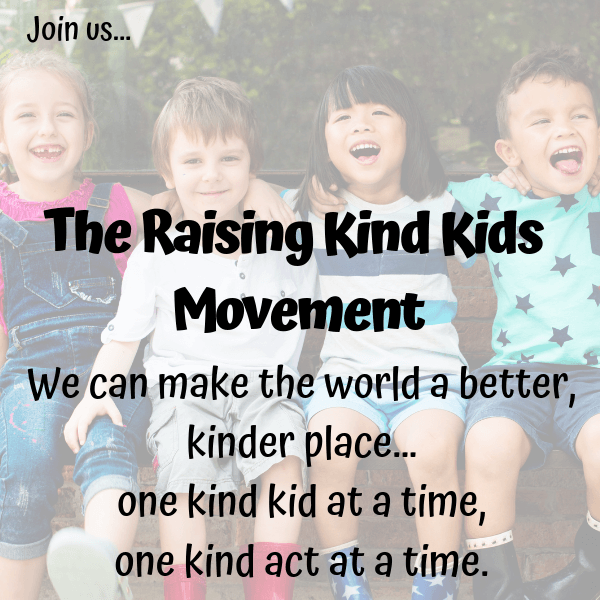 And while there’s no way to help my kids cope with every fear and worry that comes with moving, there are things that we have done to ease the transition and make moving an emotionally safer, more predictable and more comfortable process. 1. Talk about it sooner rather than later. We started talking about our move pretty early in the process with our kids. And we got out a huge floor map to show them where we lived in California and where our new home in Massachusetts would be. We answered all of their questions as honestly as we could…and we got some great questions that we would never have guessed they were worried about. 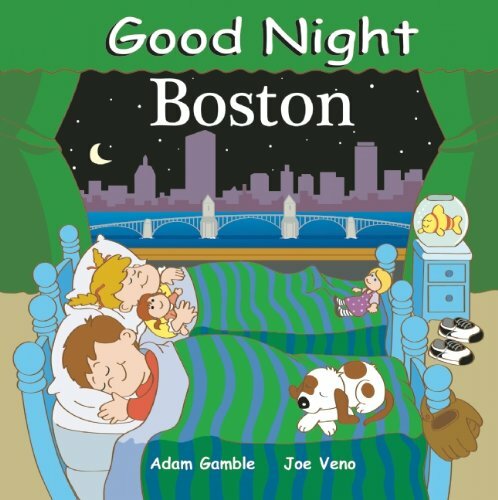 My son’s biggest concern was if they spoke a different language in Boston how would he understand his new teacher. After reassuring him they did, in fact, speak recognizable English everywhere but South Boston, he was good to go. 2. Let them share their feelings about the move. Moving can be both exciting and scary at the same time. You can be ready for the adventure and also incredibly nervous about it. You could be happy to make new friends and sad to say goodbye to your old ones. Remind them it’s okay to feel all the feelings. And it’s also okay for their feelings to change and fluctuate. My daughter is studying fractions right now so that’s how she’s expressing her emotions: I’m ¾ excited and ¼ sad to leave my friends behind. But after a sleepover with her entire Girl Scout Troop, the fractions changed: Now I’m ¾ sad and ¼ happy. 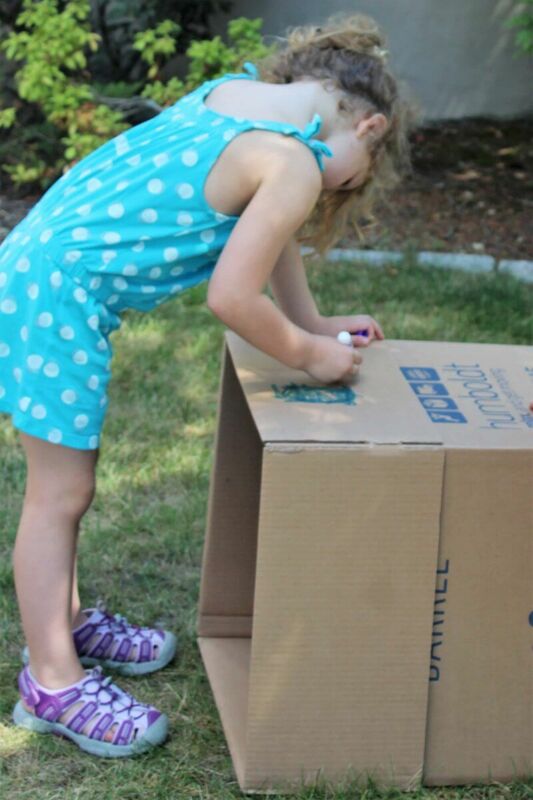 Moving can be a very abstract concept for kids…as is time. We have used a countdown paper chain and a calendar for our kids to see how many days were left until the move. 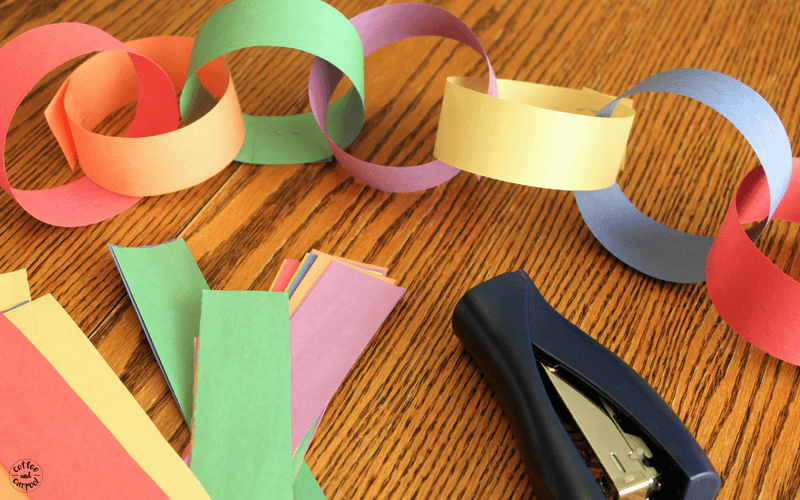 Letting them both make the paper chain and rip off the days, gave them a little control over the timing of it all. 4. Plan the “right time” to move. 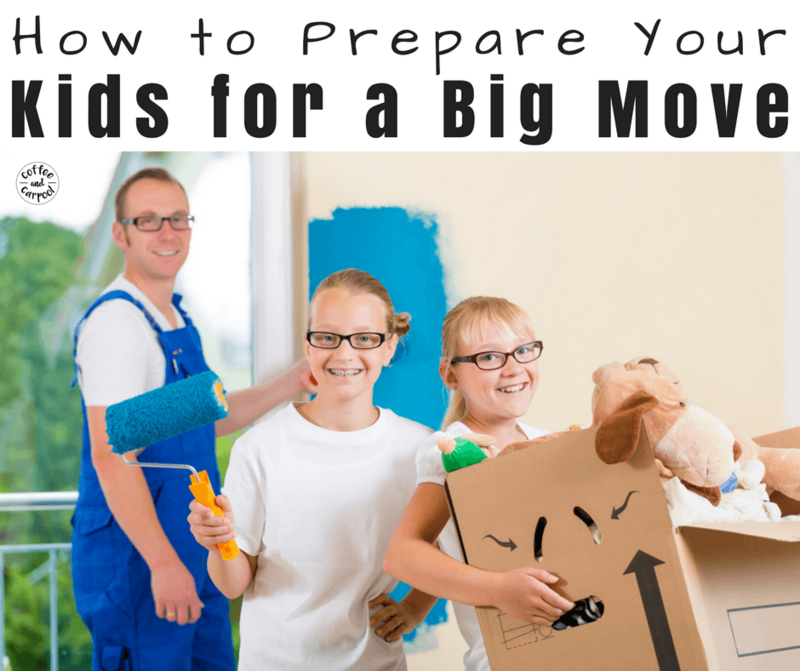 If you’re able to, plan the move at a good time for your family. If you’re moving in between school years, moving in the middle of the summer is a great time. 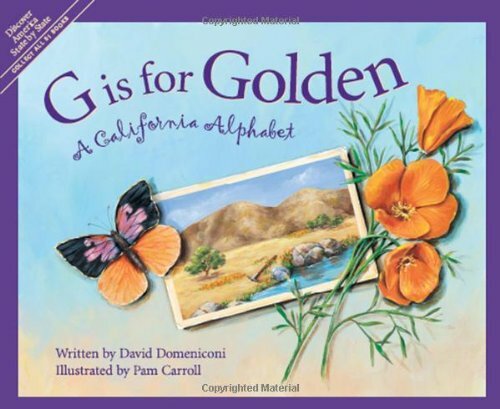 They’ll still have a little summer with their old friends and a little bit of summer to get acquainted in their new town before school starts. If you have to move in the middle of the school year but you have a little flexibility, take a look at the school calendar and plan accordingly. We pushed our move back two weeks because of a 100th Day of School party, a Valentine’s Day celebration, and the schoolwide Talent Show. My kids would have been devastated to miss out on these things and it was easy to work around. 5. Visit their new home. 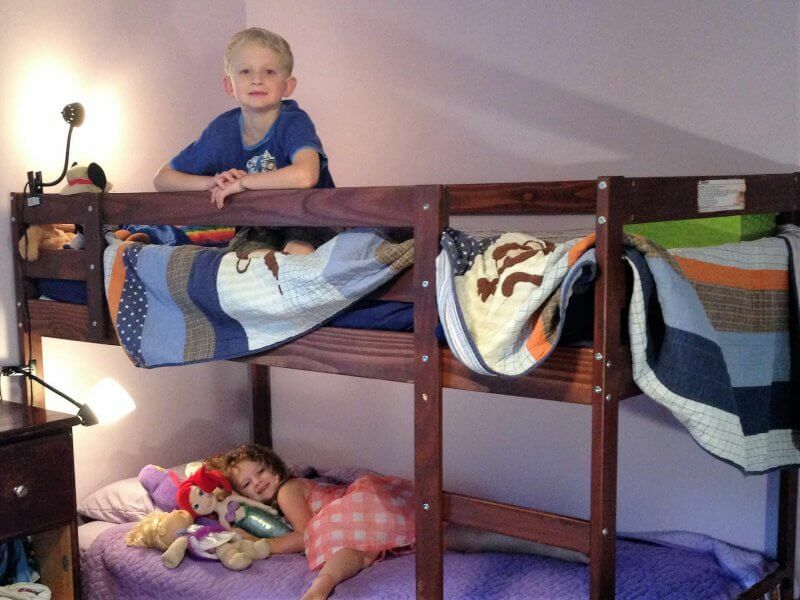 Visiting their new home before you move will help your kids visualize where they will eat, sleep, and play. Since we’re moving cross country and this is impossible, we took photos and videos of the house so the kids could see their new rooms and their new backyard and their new kitchen. 6. 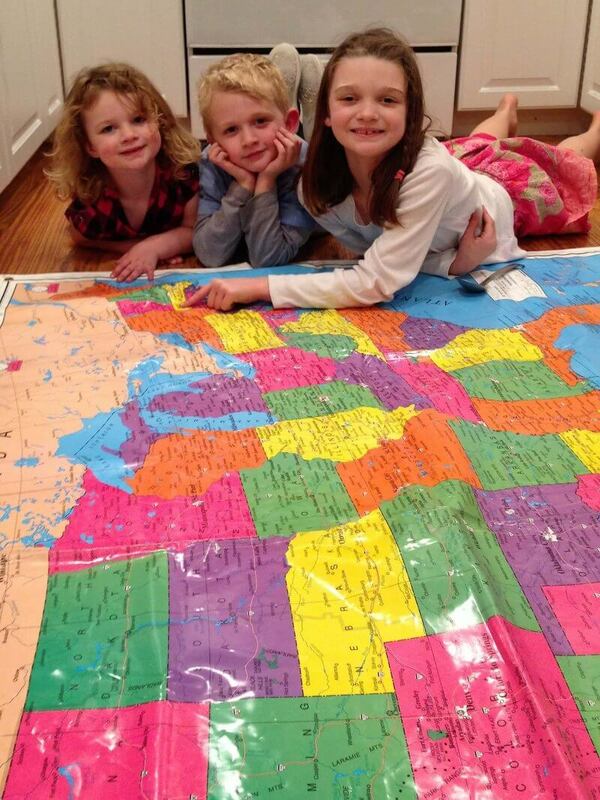 Let them help plan out their new room. They made a make-your-own sign with their name on it, got colorful wall decals and they each got a new bean bag chair for reading. Getting them pumped about their new room will help them get ready for their first night in a new space. 7. 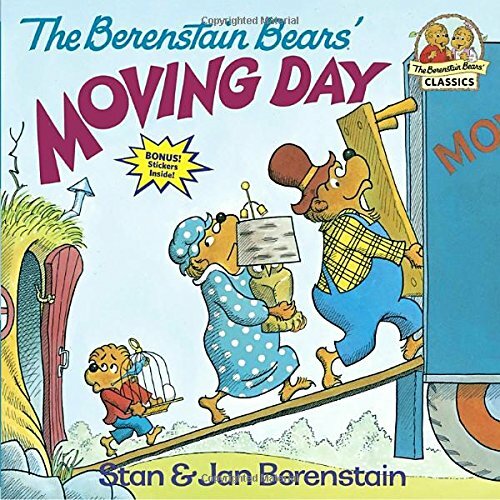 Read books about moving. 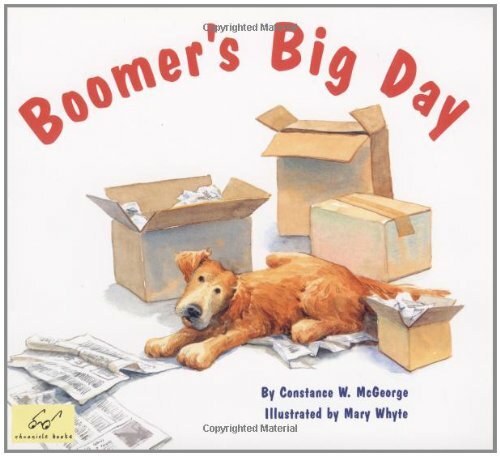 Reading books is always a helpful way to help kids deal with something big in their lives. They can empathize with the characters, talk about their feelings and verbalize something that was worrying them they didn’t even realize was worrying them. 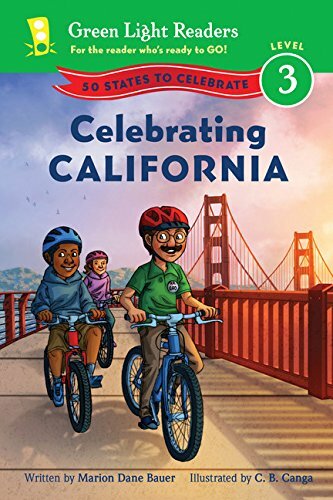 Find books about your new state or city and learn about the famous attractions, fun things to do, and the local sports teams. 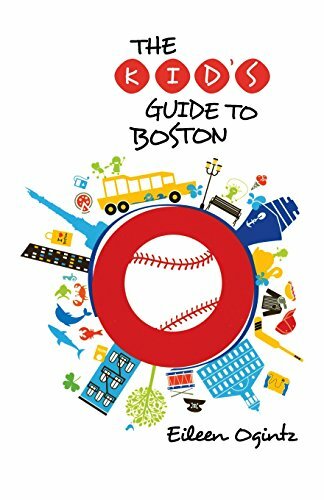 It will help you all feel attached to your new home state or city. 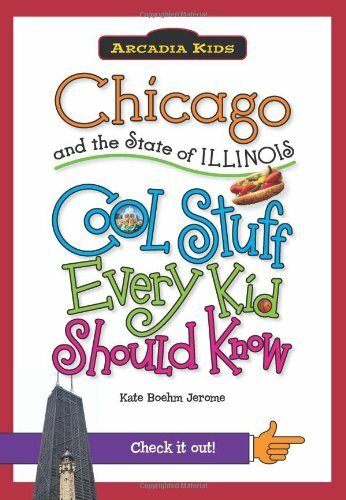 To find great books about your new town, check out the “local” section in the town bookstore…they’ll have guidebooks, chapter books and board books your kids will love. 8. Take photos of your old house before you start packing. I took a ton of pictures of our house before we started packing and turned them into a book for our kids. They love looking back and reminiscing about their old shared room and the tiny bathroom all five of us shared and the couch we kept in our garage for watching old Disney movies. They pull out that photo book whenever they’re feeling lonely for our old house. And we talk about our old house and old town often. We tell them stories about picnics to the beach and trips to Disneyland and water play in January. If you have to pare down your kids’ toys or clothes for the new house, do it as far away from your move date as you can so your kids don’t associate giving up old toys (something usually perceived as negative by my kids) to the move (something I want to have positive vibes around). One magic trick for getting kids to clean out their own stuff is to lay it all out and ask them which toys or stuffed animals or t-shirts they want to keep. Give them a number and have them choose that many items they want to save. The mindset of “keeping” or “saving” things is way easier than picking out what they’ve got to give away. 10. 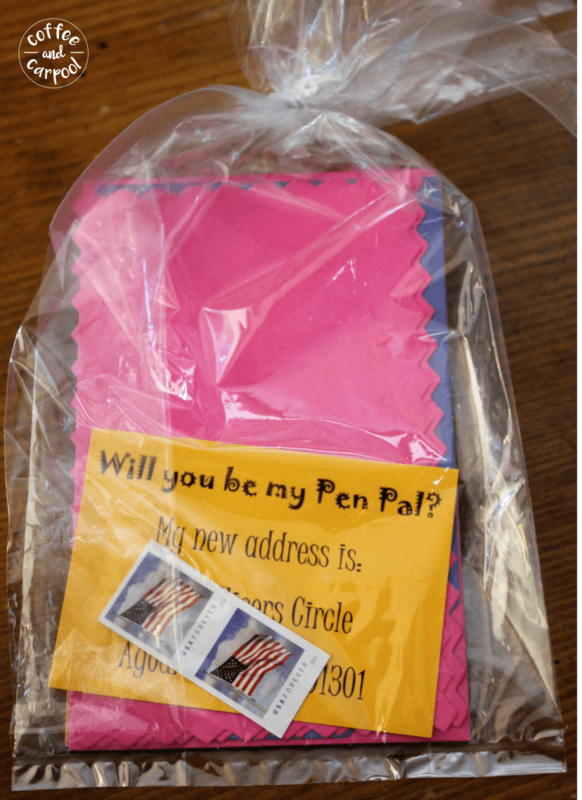 Make Pen Pal kits. Saying goodbye to old friends is sad. Keeping in touch with drawings and letters is a simple way to make the good-byes feel less final. I found some inexpensive stationary and popped them in bags with a few stamps and pre-addressed labels. We then passed the bags out to their friends and classmates so they could stay in touch and be pen pals. My kids’ eyes lit up whenever they receive mail… but mail from an old friend or neighbor is like gold! 11. Have them help pack. The concept of having their prized possessions packed into boxes and thrown on a truck and it all magically showing up days later was a scary concept for my kids. Having my kids help pack their toys into boxes helped a lot. 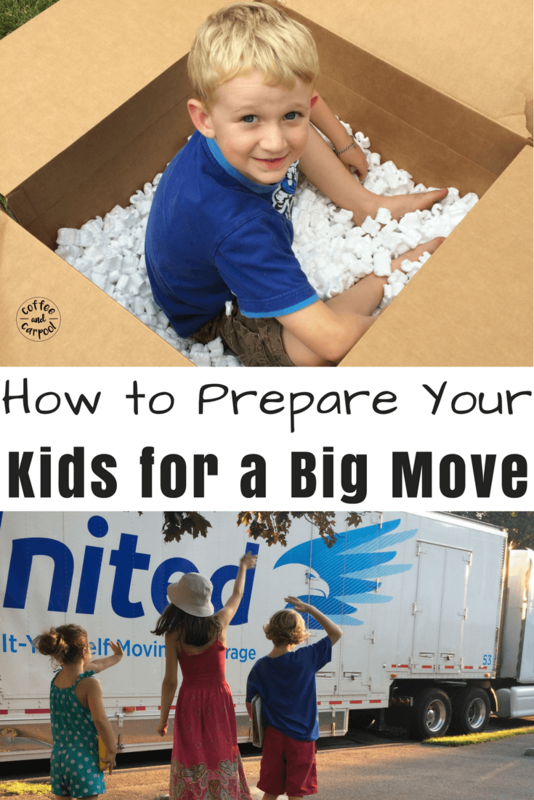 I reminded them that as soon as we got to our new house and the truck pulled up, all of their stuff would be safely inside the box, just as we packed it. And then I let my kids draw on the boxes because 1) it kept them busy while I was packing and 2) they felt more ownership of the process and the box. 12. Have them pack a special backpack. Some prized possessions are just too special to put in a box and on a truck. I have my kids help me pack their backpacks for the flight or for the drive so their most special things stay firmly in their possession and control: stuffed animals, favorite books and toys, blankies, a favorite cup. And I pack whatever I need to make the journey easier, like snacks and activities to keep them busy or a special trinket. For my son, that’s an acrylic case holding a game ball from two baseball seasons ago. It’s bulky and won’t provide any entertainment for him, but it has to come with us in his backpack. Because the look in his eyes when I mentioned maybe it would get packed in a box, let me know it was non-negotiable. For his mental health to stay intact, the ball was coming with us packed in his special backpack. 13. Plan a going away party. Saying goodbye is going to be hard. For everyone. Having a set time when friends can stop by and get one more hug can either be extra hard or a lifesaver…it depends on your kid’s personality. 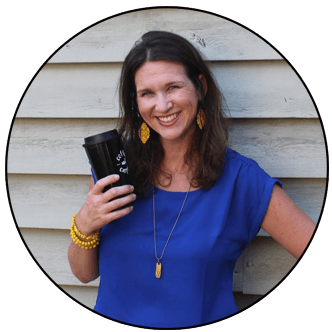 If you go for it, resist the urge to host it at your house because you’ll have too much going on and your house will be empty or in utter chaos. Try having it at a neighbor’s house or a local park and let everyone drop in and say “hi” and “goodbye” when they can. 14. Take photos of your new house. When we arrive in our new hometowns, we take the time to snap a photo of our kids on the front steps of our new house. And in my kids’ new rooms. And in their new backyard. And then I put all those photos into a new photo book they can look at. 15. Unpack their rooms first. My husband and I can re-wear our jeans another day and we can sleep on the couch if we have to, but my kids’ boxes were the first things on my unpack list. While the movers unloaded the boxes and furniture, I hung out upstairs, unpacking kids’ clothes into drawers and putting books on shelves and crayons into desks. My kids’ beds were made before nightfall and they were tucked into familiar sheets with their comfy pillows and their obscenely large collection of stuffed animals. 16. Hang up family photos as soon as you can. Having familiar things up and around us makes our new house feel like our home sooner. My china and linen closet and pantry could wait. Our throw pillows and family pictures and dinner dishes made us feel more comfortable and more at home in our new surroundings. 17. Plan fun things in your new town right away. 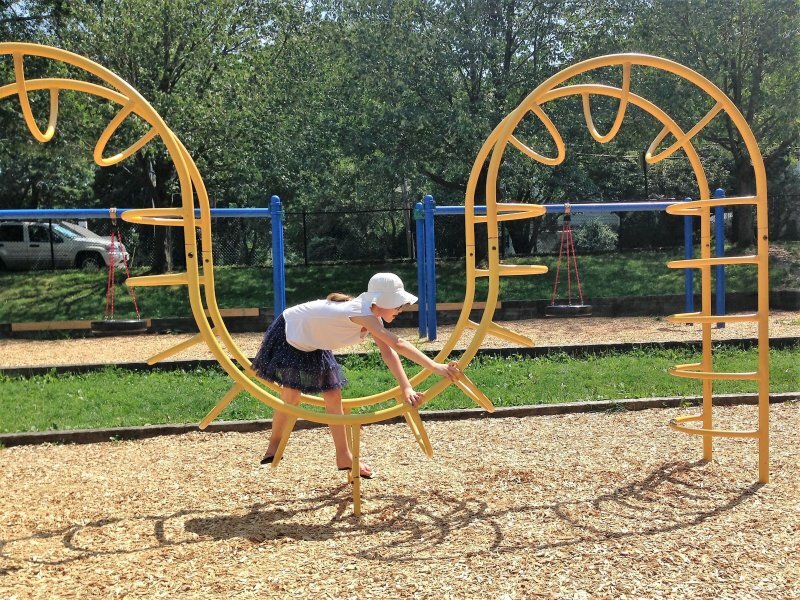 Since this is our new home, finding fun things to do will be a definite upside to a move. This is especially important if your kids are feeling unsure or depressed about leaving their old hometown. We found all the ice cream shops and frozen yogurt shops and the used bookstore. It’s the little things that make our new town feel like home sooner. 18. Prepare them for their new school. We reached out to our kids’ new school and asked if they could take a tour before school starts or before they showed up on their first day for class. The administrators or office manager have also been able to help me find kids in our new neighborhood that are in the same grade or class as my kids. Having friendly faces before they show up to school can be extremely comforting. I reassure my kids that everything will be ready for them at school. Their desk and their supplies and their books will be all there. If they have an IEP like my daughter, try to plan your IEP meeting before school starts so everyone is onboard with what your child will need to be successful. If they have a food allergy like my son, meet with the school nurse and ensure that all precautions will be met so you can reassure your child they will be safe at lunchtime. 19. Eat dinner at a local family restaurant. In each new town we live in, we find a familiar, but new family-friendly restaurant that will be our new go-to dinner place. The restaurant we ate dinner at our first night in town in Boston became our go-to family date dinner place. We ended up eating there on our last night in town too. It was just a local Italian restaurant, but it felt special to us. 20. Purchase local sports teams gear. One thing that helped my son fit in with the kids at school quickly was having gear for the local sports teams. We will always be LA Dodger loyalists, but my son also owns Red Sox and Cubs hats. 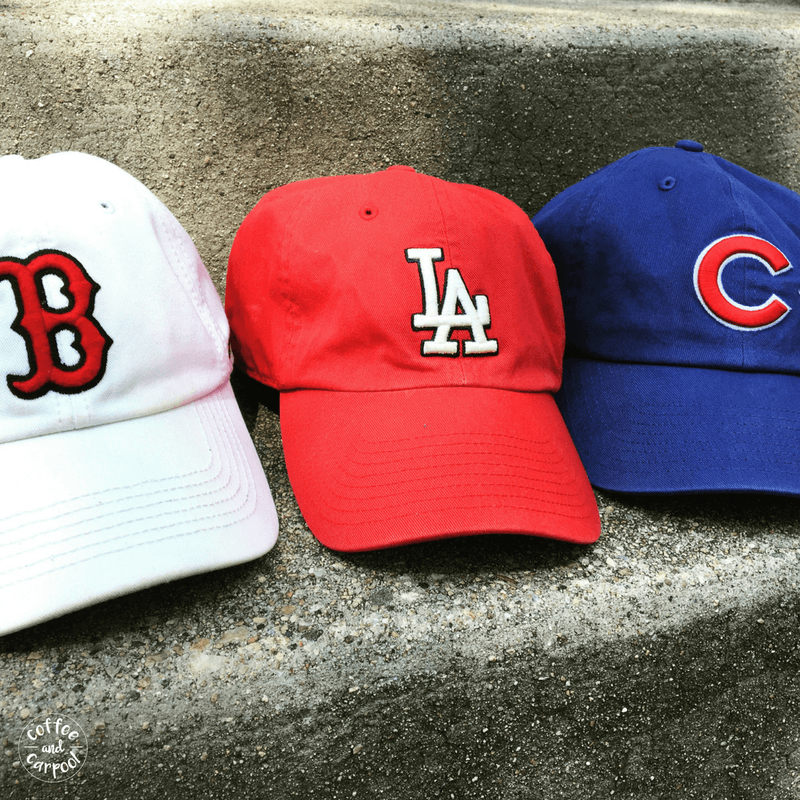 This baseball hat collection lets him choose what to wear to “Sports Day” at school. Plus then we have fun gear to wear to local games. When we can, we go to the stadiums and cheer on our new local teams. Nothing helps you feel part of a new city than cheering on the team with 50,000 other fans. 21. Plan a trip to go back and visit soon after the move. This may not be feasible for everyone, but we happened to plan a trip to our old town one month after we moved away. Which proved to be a lifesaver. Because as we were saying our goodbyes, it wasn’t forever. It wasn’t for a year. It was only for one month. Which made the goodbyes more manageable for everyone. Whether you’re moving for a job or to be closer to family, a big move can be a grand adventure. But it can also weigh heavily on your kids’ hearts. Change is hard. The unknown can be scary. 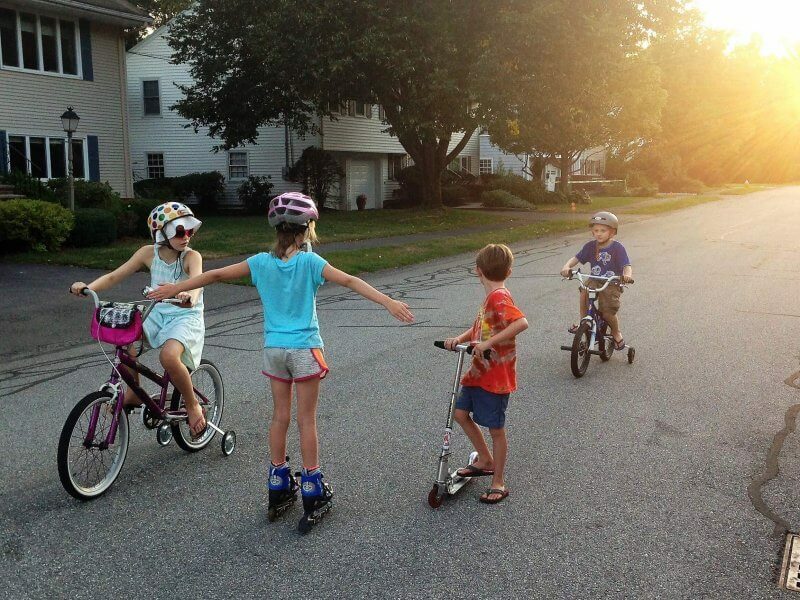 The anxiety of being the “new kid” and not having friends can be overwhelming. But when we take the time to focus on helping our kids through this process, it is a smoother, more positive experience for everyone. Just don’t forget to pack all your lists. And the special baseball in it’s acrylic case.